Halloween is a week away and the annual holiday festivities are at the forefront of attention throughout the nation. It’s no wonder, Halloween happens to be the fourth most-popular holiday in the country, behind only Christmas, Easter and Thanksgiving. In the next seven days, more than 170 million Americans are expected to be participating in traditional Halloween activities, including attending holiday parties, going to Halloween fright attractions, dressing in costumes, trick-or-treating or handing out candy at their homes. The holiday dates back to the ancient Celtic festival of the Samhain, which took place on October 31st. On this day, the Celtics wore costumes and lighted bonfires to ward off evil spirits, which also heralded the beginning of winter. In the 8th Century, Pope Gregory III declared November 1, All Saints Day or All Hallows Day. The two holidays blended together as Christianity spread through Celtic regions and the night before All Saints Day became known as “All Hallows Eve” or Halloween. European revelers would carry Jack-o-Lanterns to “ward off the evil spirits.” Turnips were originally used in both Scotland and Ireland at the time, however pumpkins became the popular choice in the 1800’s, when many Europeans immigrated to North America and chose the native crop, which was both softer and easier to carve and was also in larger abundance for the fall harvest. Pumpkins have emerged as the official symbol of the holiday and their bright orange color is the shade most associated with it as well. There’s a lot to revel about with the Halloween Doorbuster Deals taking place at World of Watches this week. 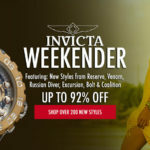 Over 132 men’s and women’s watches are featured in the promotion, including popular styles from Rolex, Lucien Piccard, Michael Kors, TechnoMarine, Swiss Legend Ingersoll, Eterna, Red Line, Versace, Luminox, Seiko, Elini Barokas, Bulova Accu-Swiss, Porsche Design and Raymond Weil. Ghosts, goblins and skeletons are popular symbols of the season and the Lucien Piccard Hampton wristwatch for men captures the spirit of the Halloween season. This classic traditional mechanical men’s watch features an exhibition skeleton dial and case back that let you see the intricate movement inside. The generously oversized case in premium grade stainless steel is highly polished to a lustrous glow. The case is presented on a handsome black alligator-textured leather strap with deployment clasp closure for added security and convenience. Luminous sword hands along with bright orange colored Arabic numeral hour markers on the dial add to the Halloween season appeal. Features include a scratch resistant Sapphitek crystal above the dial and water-resistance to 30 meters or 100 feet. 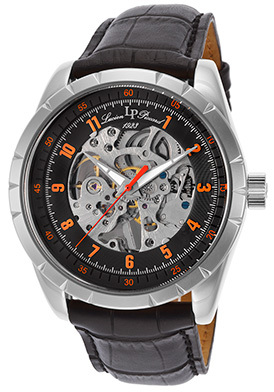 Lucien Piccard Hampton men’s watch is 45mm in diameter and 14mm thick. 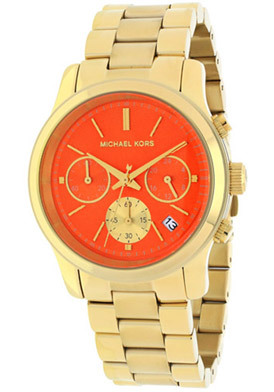 The Michael Kors Baker Chronograph in orange and yellow gold tones is the perfect watch of the season for women. The chic, understated contemporary styling features the perfectly round case and matching triple-link bracelet in yellow gold-tone, ion-plated stainless steel, highly polished to a mirror-bright glow. The vibrant orange dial shines with three sub-dials, yellow gold-tone sword hands and baton hour markers. 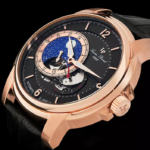 Features include an automatic date window at the 4 o’clock hour, small-second, 60-minute and 24-hour countdown timers. Additional features include quality quartz movement inside for time-keeping accuracy and water-resistance to 100 meters or 330 feet. Michael Kors Baker Chronograph is 38mm in diameter and 10mm thick. Sleek and sporty, the TechnoMarine Cruise Jellyfish Chronograph is an ideal selection for men in shades of orange and black. 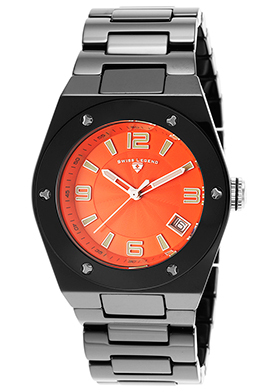 The robust stainless steel case has a bright orange silicone case cover. The high-performance black silicone strap adds to the stylish design. The unidirectional rotating bezel in brushed stainless steel has a coin-edge rim and raised markers. The tone-on-tone silver colored dial features the TechnoMarine printed emblem on the background, three sub-dials, luminous sword hands and luminous index hour markers. Features include an automatic date window at the 4 o’clock hour 1/10th of a second, 60-minute and 12-hour registers. Additional features include quality quartz movement inside, along with a locking screw-down crown and case back for water-resistance to 200 meters. The TechnoMarine Cruise Jellyfish is 46mm diameter and 13mm thick. 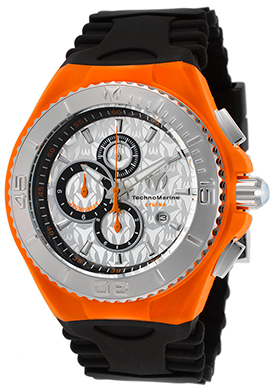 The Swiss Legend Throttle women’s watch is another excellent selection in black and orange. This contemporary women’s watch is ultra-chic and at the fashion forefront. The generously oversized Tonneau shaped case and matching bracelet are crafted to glowing perfection in lustrous black high-tech ceramic. The matching black ceramic bezel with studded detail encircles the bright orange colored dial with luminous hands, outlined luminous Arabic numeral and baton hour markers. A window at the 4 o’clock hour reveals the automatic date calendar. 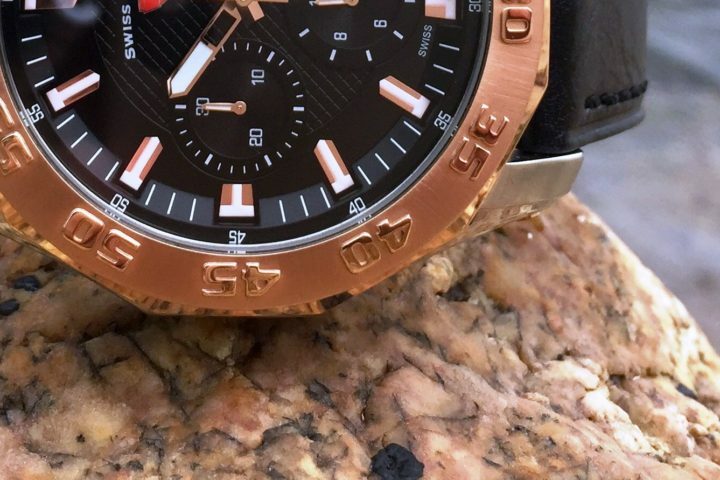 Features include a scratch resistant Sapphitek crystal above the dial, premium Swiss-made quartz movement in side for precise accuracy, along with a locking screw-down crown and case back for water-resistance to 100 meters or 330 feet. Swiss Legend Throttle women’s watch is 38mm wide and 12mm thick. 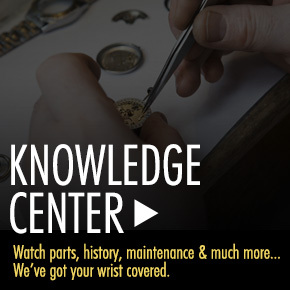 Free shipping and free returns are included on all domestic men’s and women’s watch purchases within the continental United States at WorldofWatches.com. 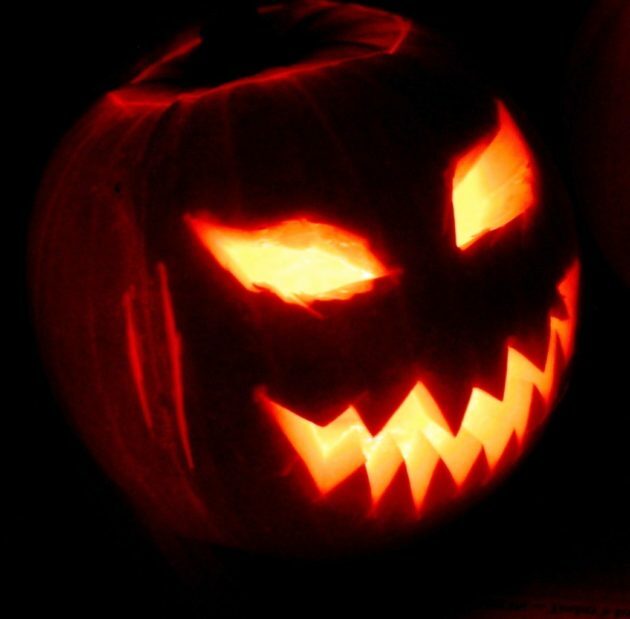 Halloween Jack-O-Lantern image courtesy of Wiki Commons. Jacques Lemans Favorites on Sale at worldofwatches.com! We’re Feeling Off This Week… An Extra 50% Off That Is! World of Watches Mid-week Mix up on Brand Name Watches!